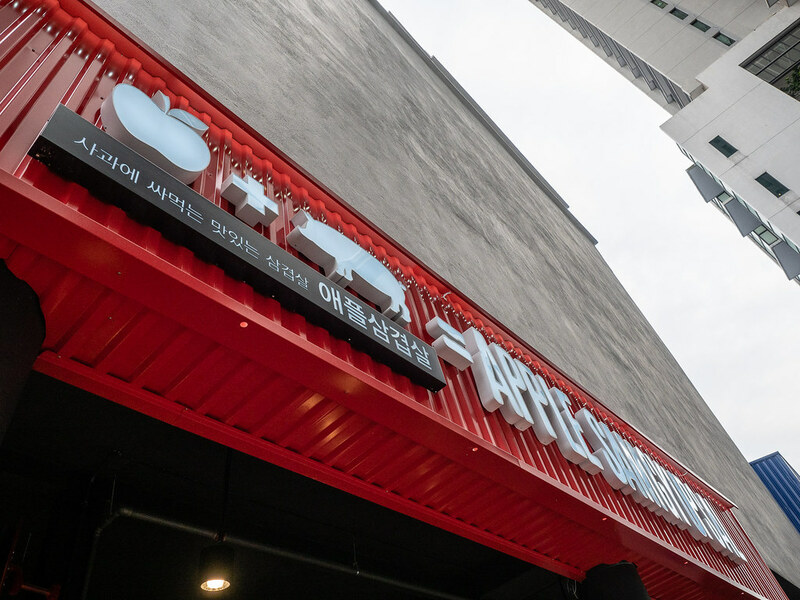 Apple Samgyupsal is a Korean BBQ Restaurant at The Square, Jaya One, Petaling Jaya. 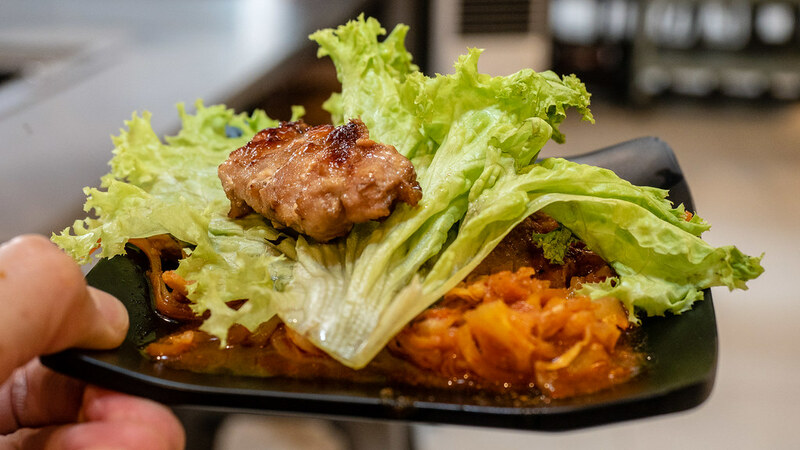 We always saw people eating happily at Apple Samgyupsal’s other branches on Instagram and Facebook. We never have the chance to try as it is quite far from our place. So, when we saw Apple Samgyupsal opening in Jaya One, we are so happy. But, we need a reason to eat as the price is more on the premium side. Luckily it is Christmas month, so we came here to celebrate Christmas. Apple Samgyupsal is a unique Korean BBQ Restaurant for their apple and premium pork cuts. 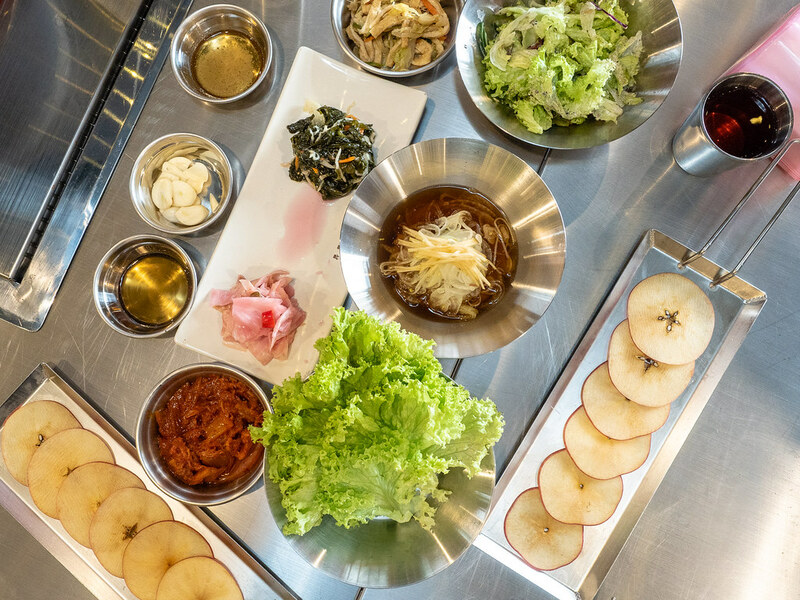 The BBQ Set is served with apple slices along with the normal fresh vegetables and banchan (Korean side dishes). 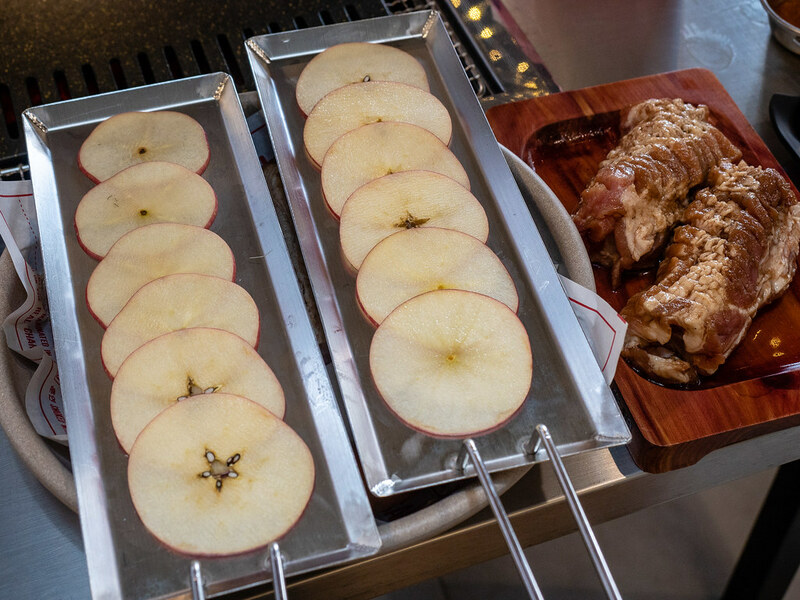 The apple slices are used to wrap the BBQ meat, I think so as everyone did that. The tea served here is Apple Tea as well, which tasted very refreshing. Other Korean BBQ restaurants serve rice tea which make my stomach feels full very fast. 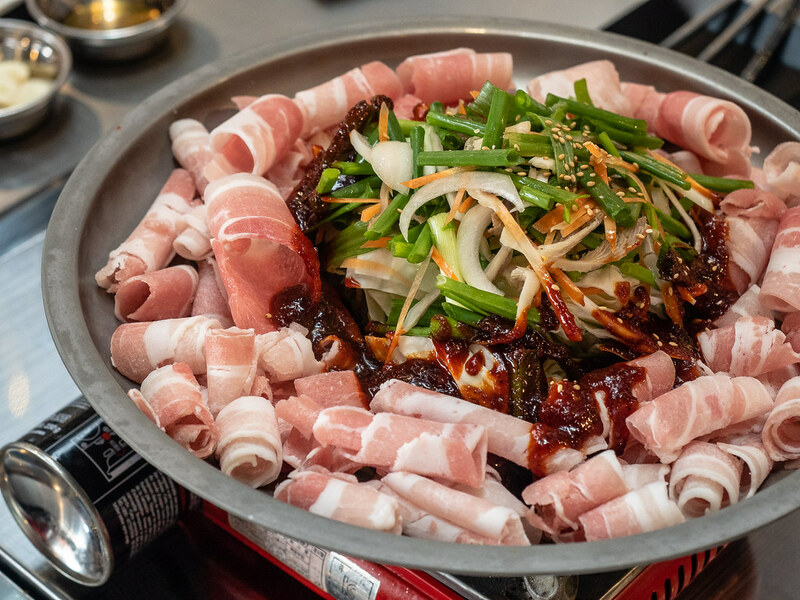 Apple Samgyupsal is a popular Korean BBQ Restaurant, so do make reservation if you plan to come here to eat BBQ dinner. When you reached, check your reservation on this white board at the entrance and the friendly staff will show you your table. 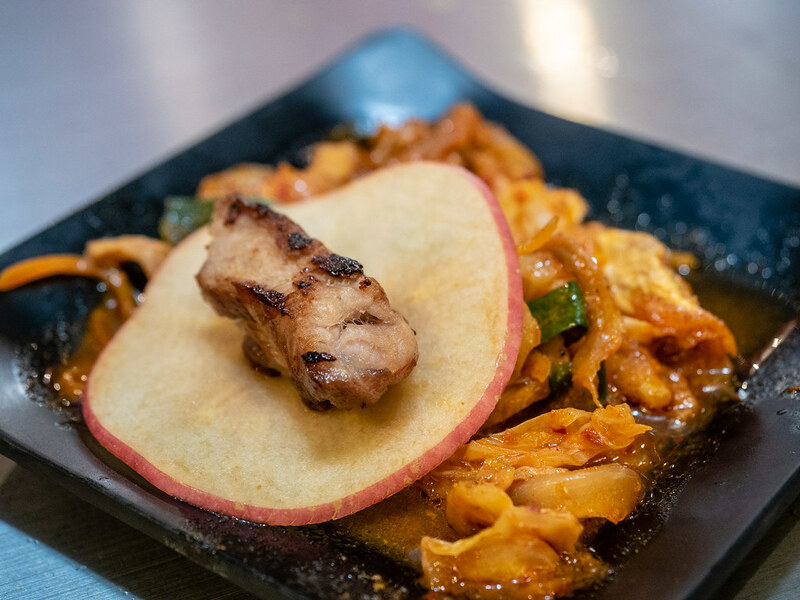 While waiting for the food to be served, let’s shoot some photos of Apple Samgyupsal Korean BBQ. This is one part of the outdoor seating. 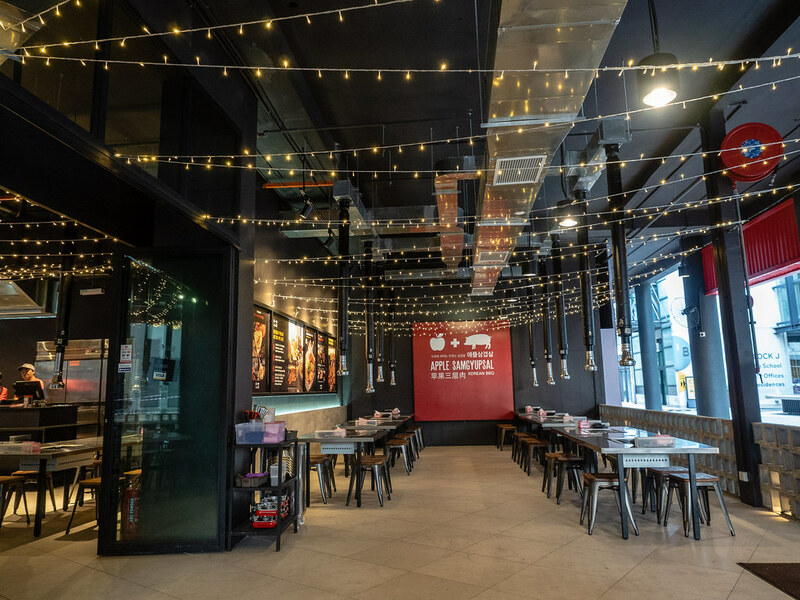 Another part of the outdoor seating at Apple Samgyupsal. Everything here is very neat and clean. 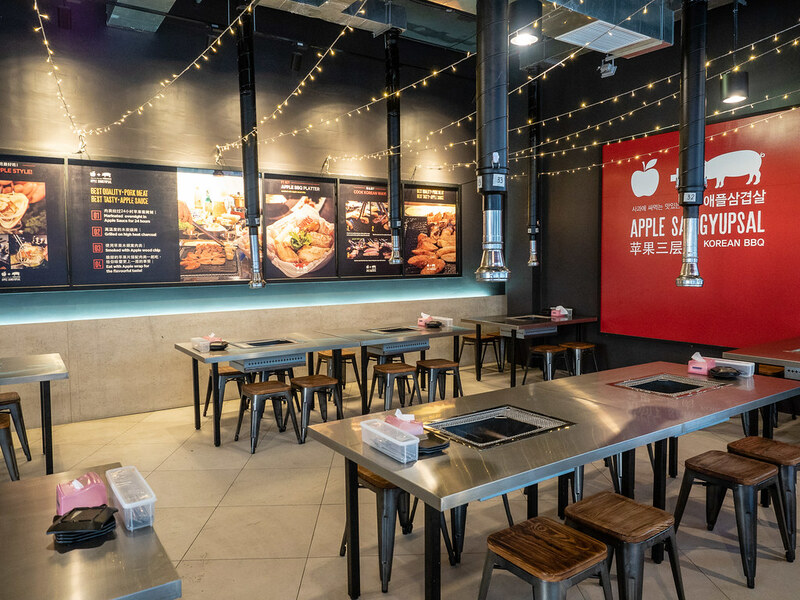 Interior of Apple Samgyupsal at Jaya One. We choose to sit outdoor because we don’t want to smell like BBQ pork after we eat here. 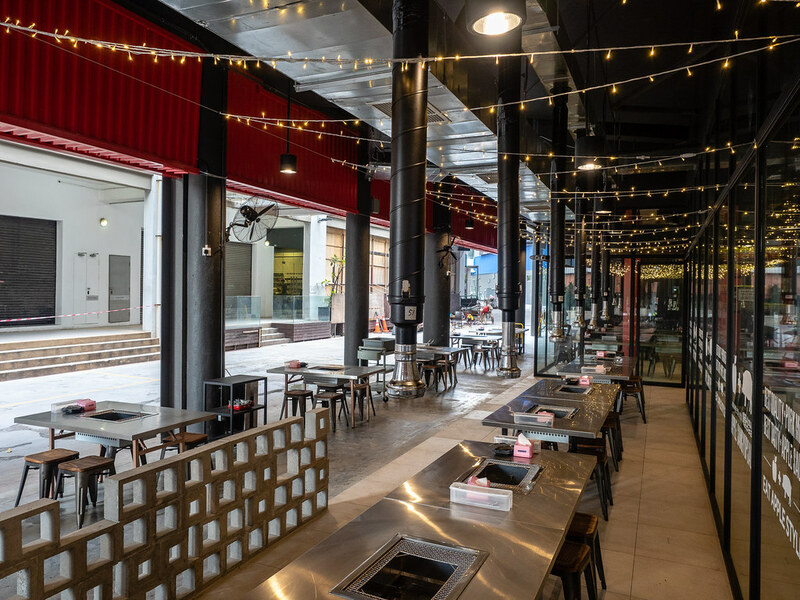 Another view of the outdoor seating at Apple Samgyupsal. There are quite many outdoor seating here. Since it is Christmas month, the restaurant is decorated with lights. 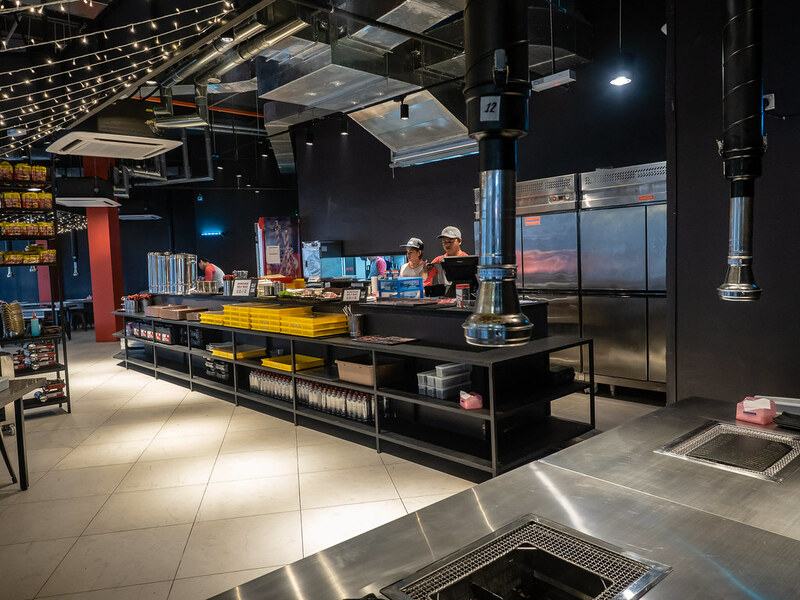 Each table has this powerful ventilation exhaust fan to absorb all the smoke from the BBQ pit so that customers won’t smell like BBQ after eating here. It works well as we really did not smell like BBQ after we enjoyed the BBQ here at Apple Samgyupsal. 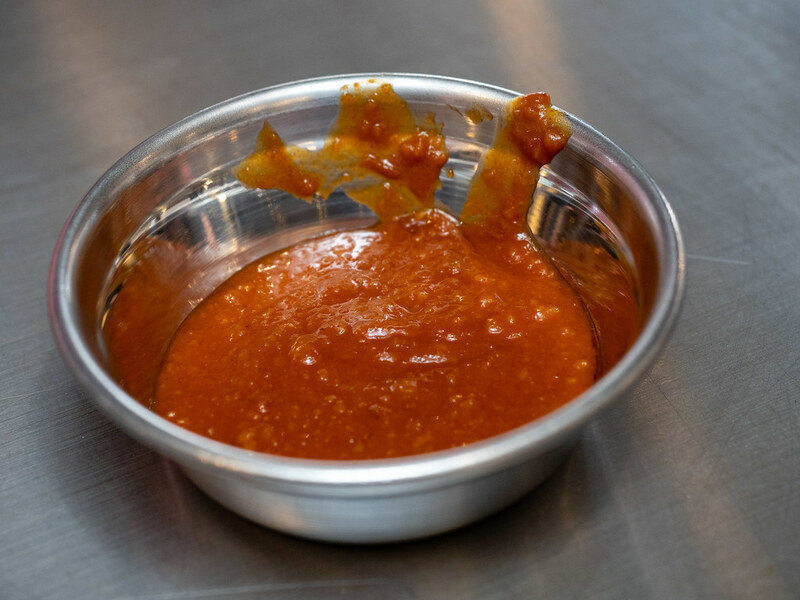 The special sauce at Apple Samgyupsal for the BBQ meat. I think this sauce goes pretty well with the BBQ Pork. 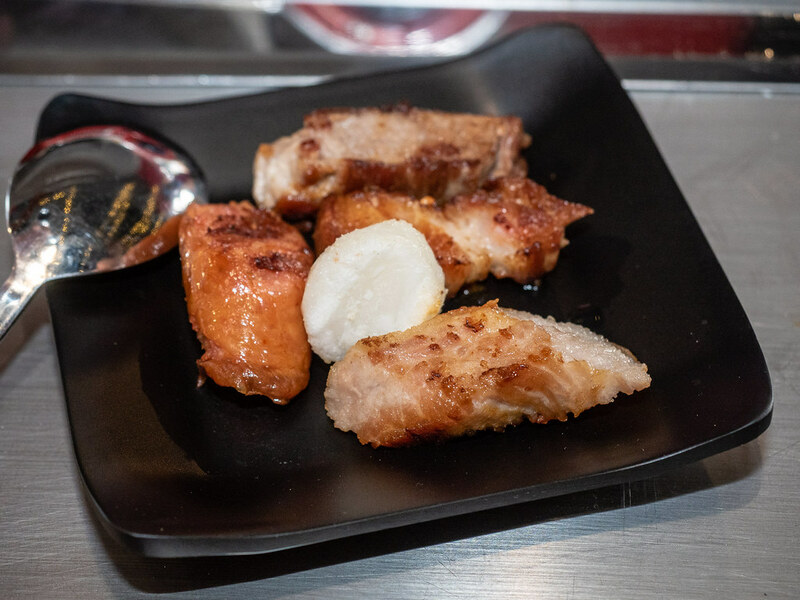 There is also apple sauce which makes the pork meat taste less oily. Let’s prepare all the vegetables and banchan first while waiting for the pork to be barbecued. The charcoal is ready to barbecue our dinner at Apple Samgyupsal. The amount above is more than enough to barbecue our dinner that night. This is the Apple King Set that we ordered. 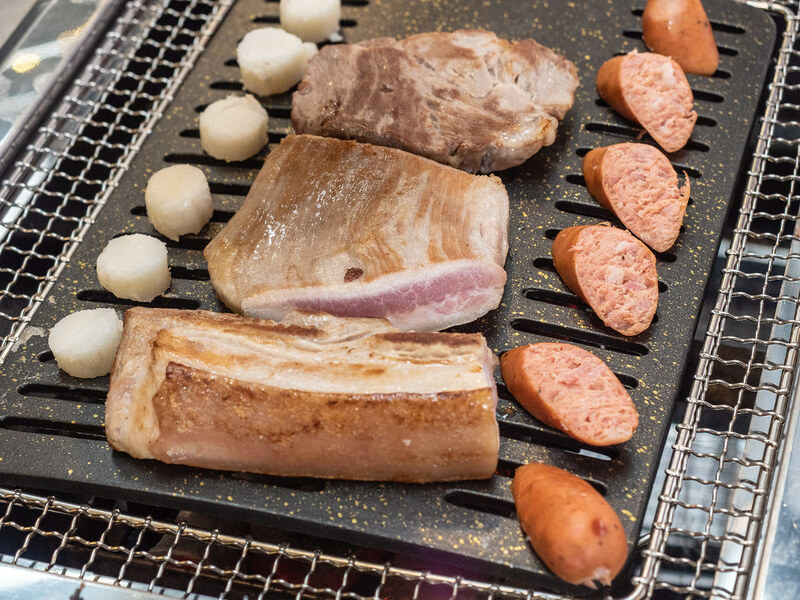 The set comes with Samgyeopsal (삼겹살; Pork belly), Moksal (neck meat), Hangjungsal (항정살; Pork jowl), wang-galbi (pork rib), Tteok (Korean rice cakes), homemade sausages and choices of Bulgogi (thin, marinated slices of pork) or baby octopus. 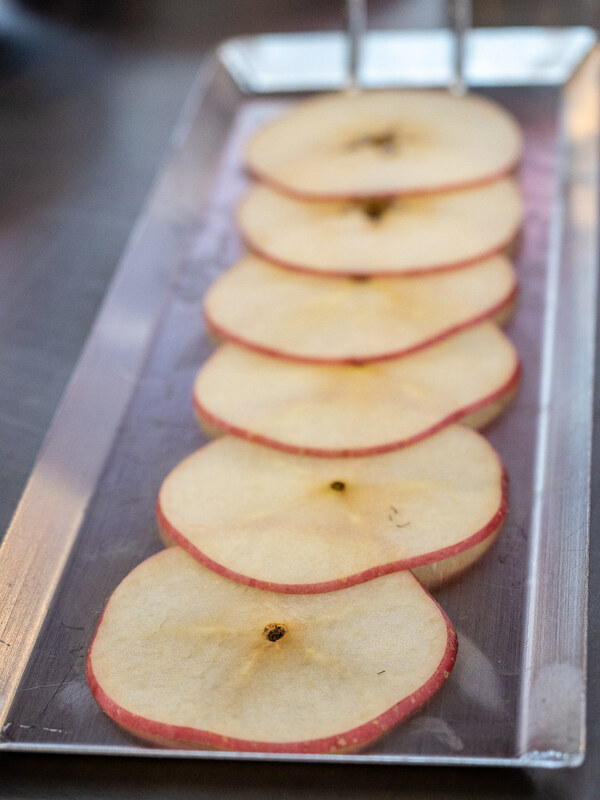 First time in my life I saw apple slices being served like this way. So, I must take another photo for the memory. The apple is very sweet, juicy and not sour. 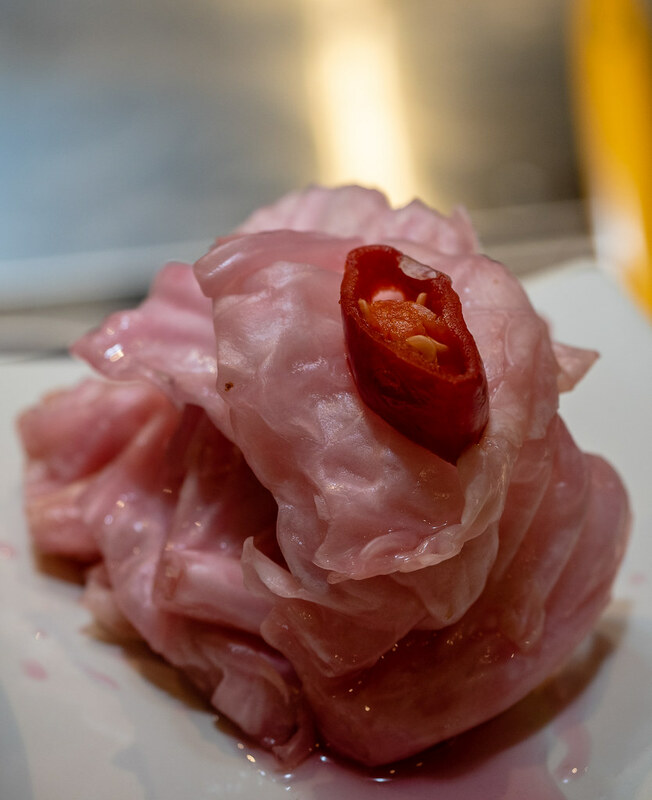 Taste good with a slice of BBQ Pork meat. Leng zhai staff of Apple Samgyupsal helping us to barbecue all the meat, pork sausages and rice cakes. 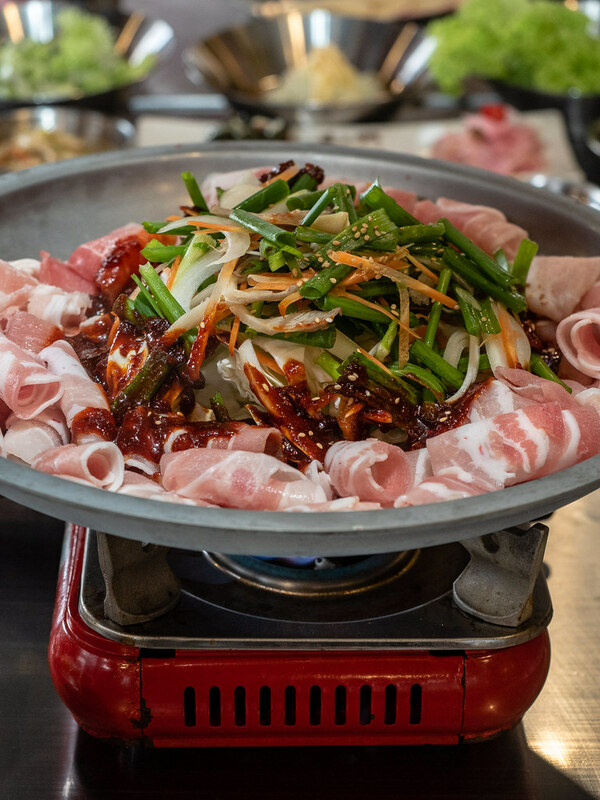 I highly recommend to let the staff to barbecue the meat unless you want to experience the barbecuing process, because the staff is really skillful at barbecuing. 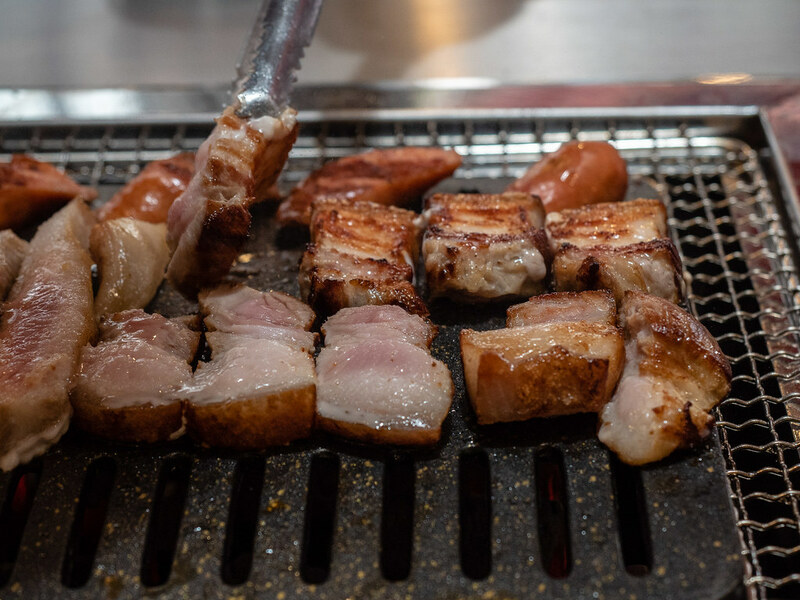 The meats and sausages all are grilled perfectly. First step of barbecuing the pork, heat them up first on the grill. Can you see how thick the pork meat are? Next step is to cut the fresh meat, sausages and rice cakes into smaller pieces. 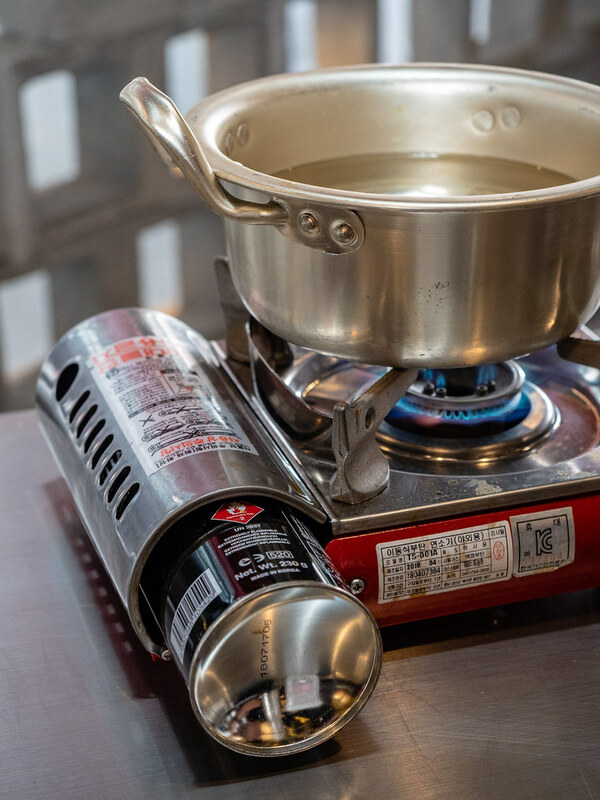 While waiting for our BBQ to be ready, we start to boil water with this mini gas cooking stove. No, it is not for steamboat. It is for unlimited refill of Korean Ramyun. 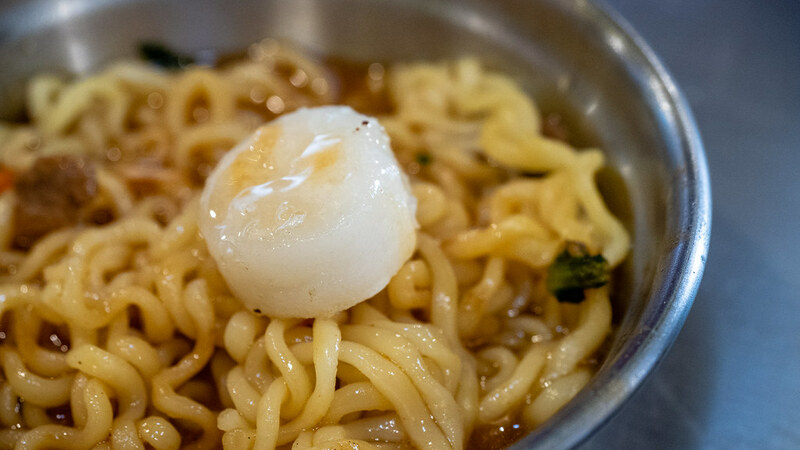 Apple Samgyupsal serves unlimited Korean instant noodle / Ramyun with all types of flavours. It tasted really good and if anyone know where to buy this brand online or shops, do let me know. 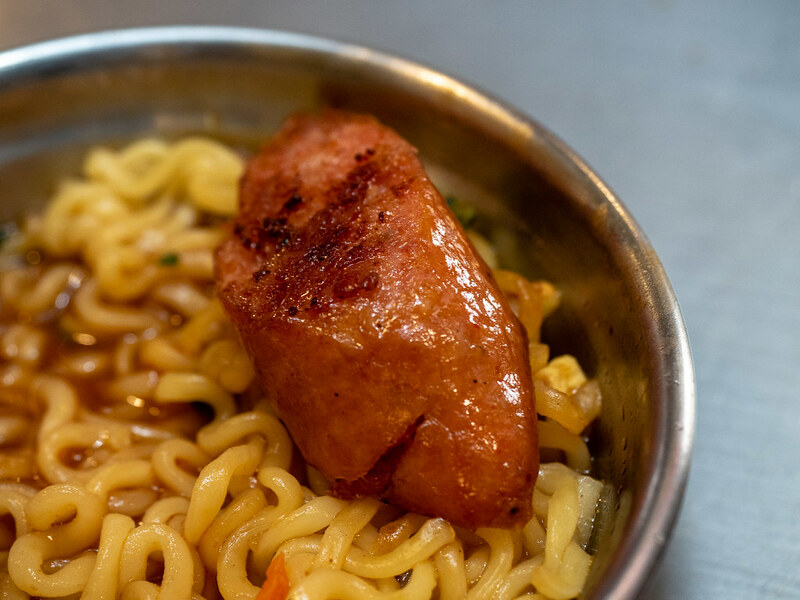 One of the Korean dish we ordered besides the BBQ is the Duruchigi. 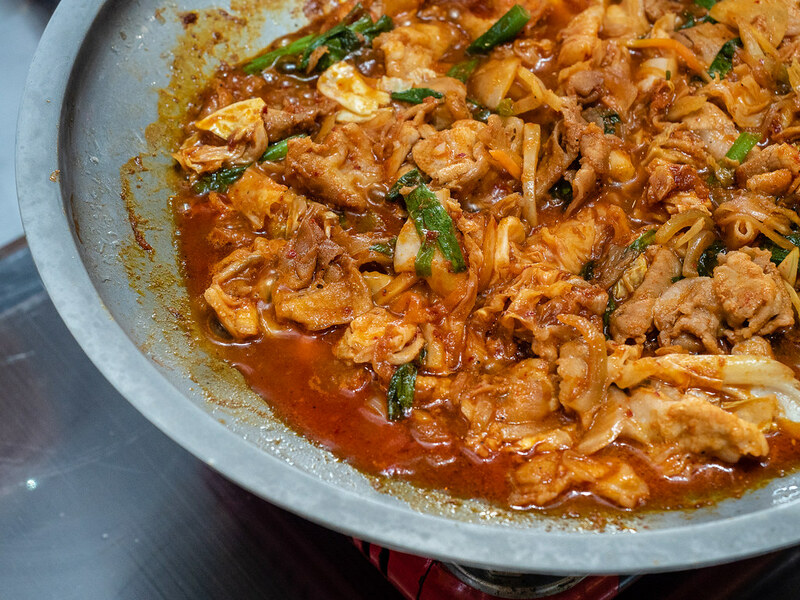 Duruchigi is a traditional dish originated from Gyeongsang provinces of Korea. 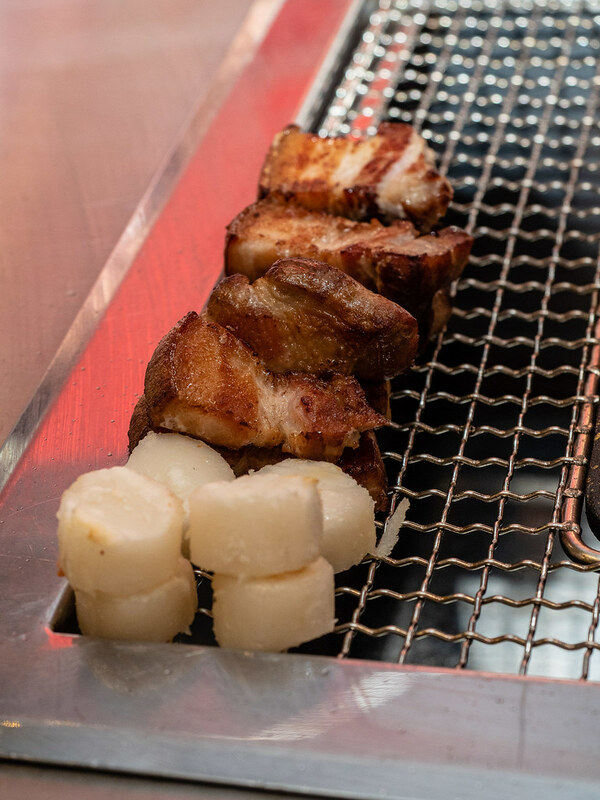 Duruchigi was originally using squid as the main ingredient but pork is more commonly used now. Shoot another photo of the Duruchigi before start cooking. 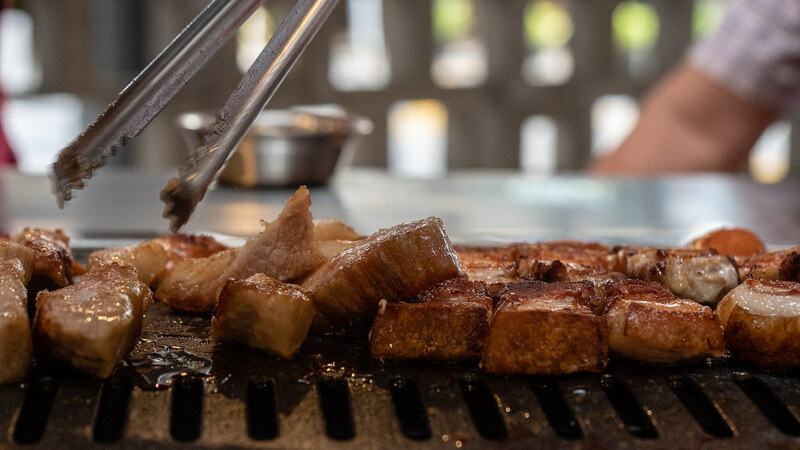 Yes, the cooking is done in front of your eyes on your table, just like barbecuing the pork. These few pieces look like scallops but they are not. 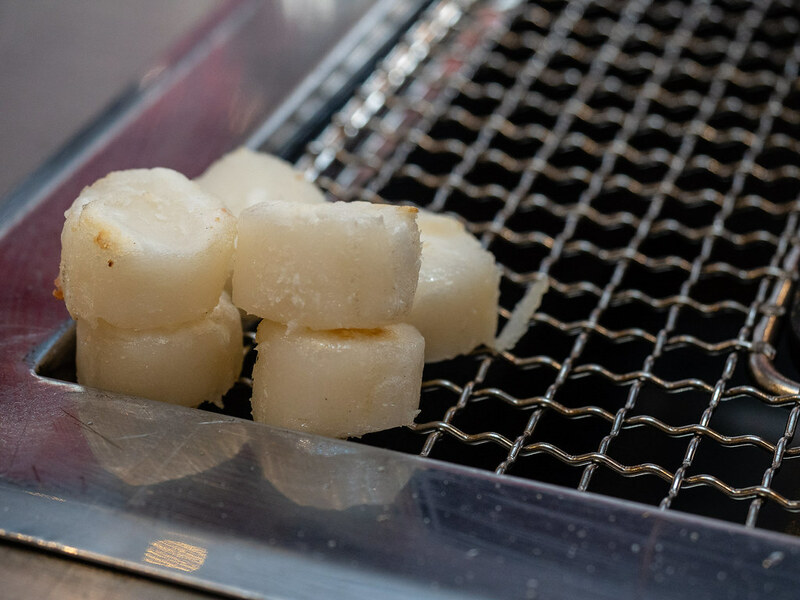 They are Korean rice cakes, grilled until yummy and chewy. All pork meat are now cut into small pieces. Look at all the juicy fat pork meat. Nowadays everyone knows pork fat is one of the most nutritious food in the world. 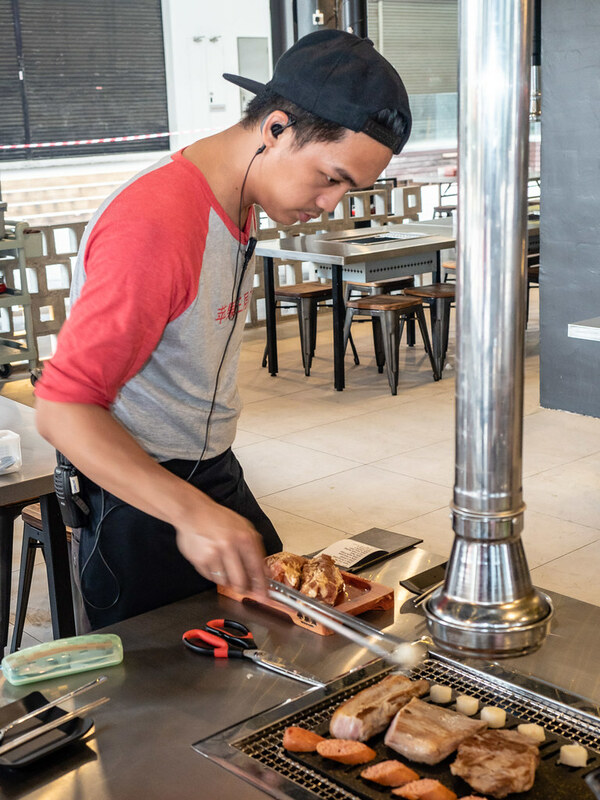 The staff at Apple Samgyupsal will monitor the BBQ meat and turn them once a while to make sure they are perfectly barbecued. 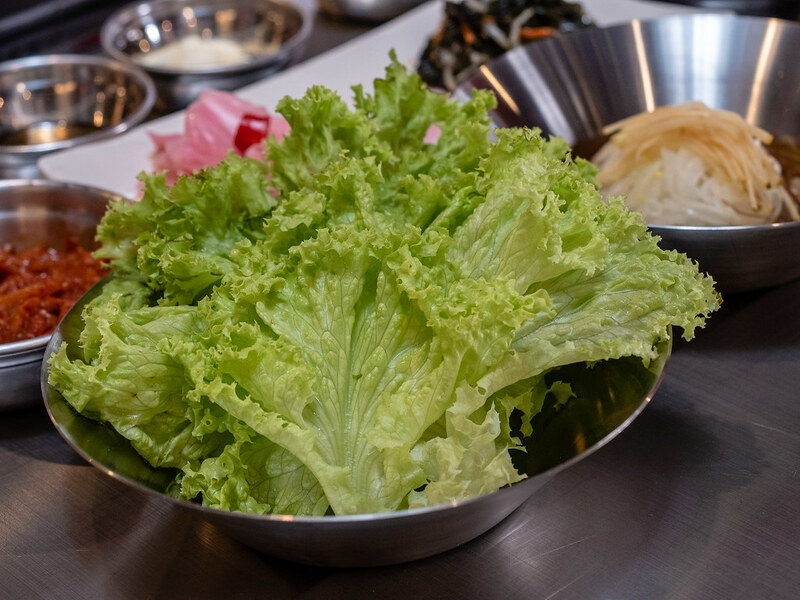 Before starting to eat the BBQ meat, make sure the green fresh vegetables are ready. 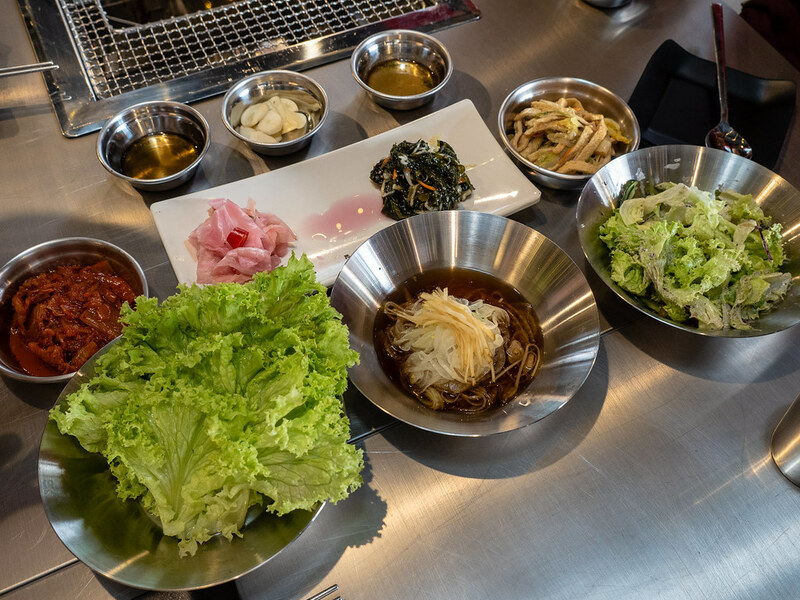 If not enough you can always refill the vegetables at the banchan bar. 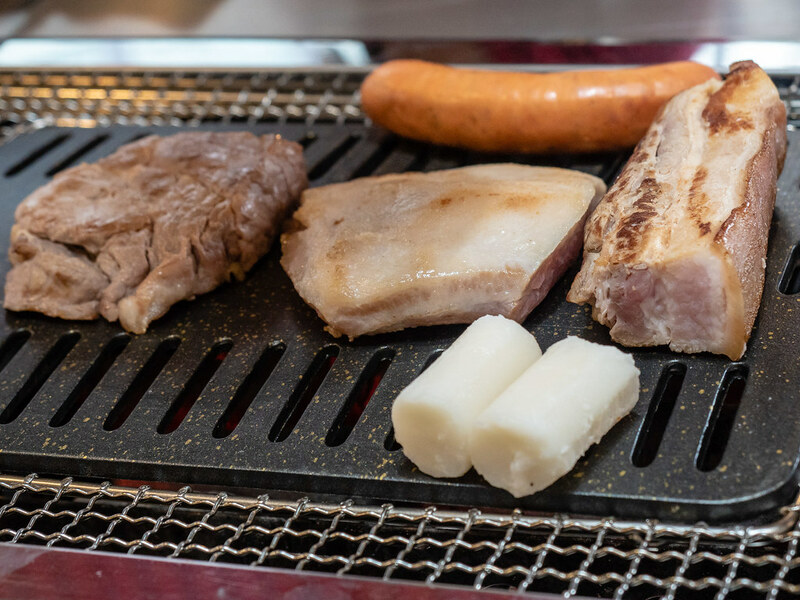 After the meat is cooked, the staff will arrange them nicely on the side of the BBQ pit together with the rice cakes and pork sausages. Let’s shoot another view of Apple Samgyupsal Jaya One side dishes (banchan) before starting our BBQ meal. 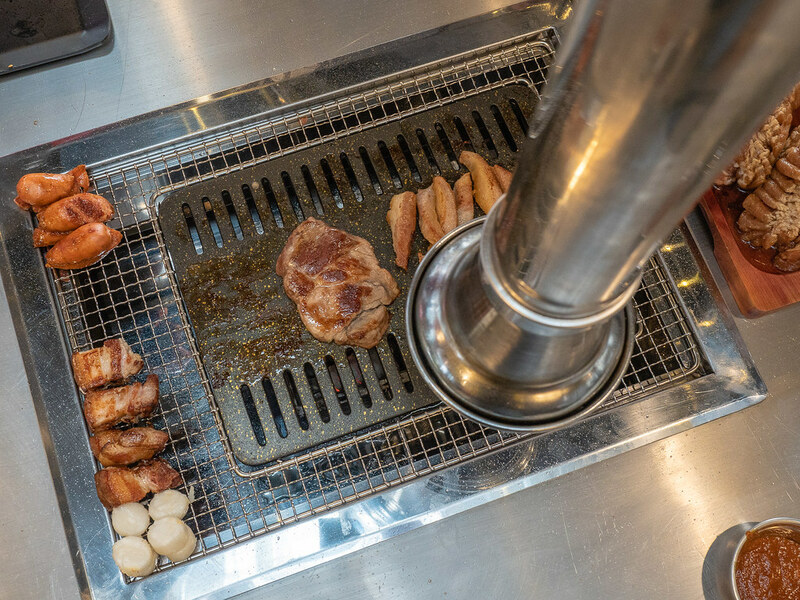 The view of the BBQ pit from the top at Apple Samgyupsal. 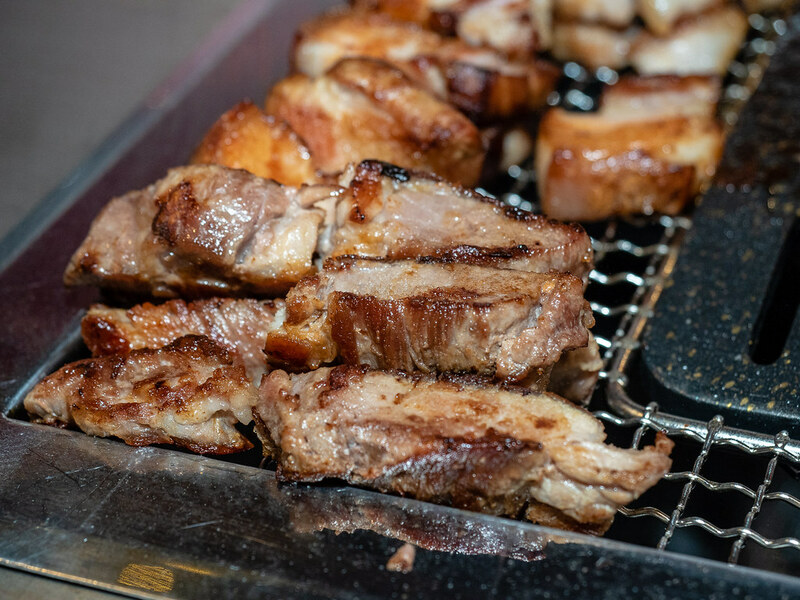 The pork are barbecued batches by batches according to the types of meat. While waiting for the BBQ meat, the Duruchigi is ready to be eaten as well. Look at the colours! The Duruchigi is as nice as how it looks. I like the BBQ Pork at Apple Samgyupsal because they are so thick and juicy. My personal plate of BBQ food, the pork meat, pork sausages and rice cake. 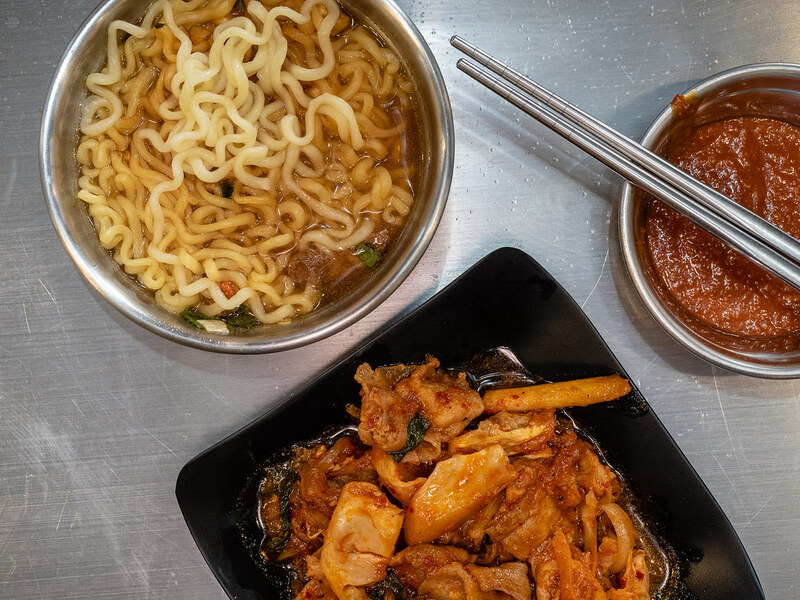 The Ramyun is excellent, the noodle is springy and the flavour is amazing. Duruchigi is yummy as well with a bit of spiciness. 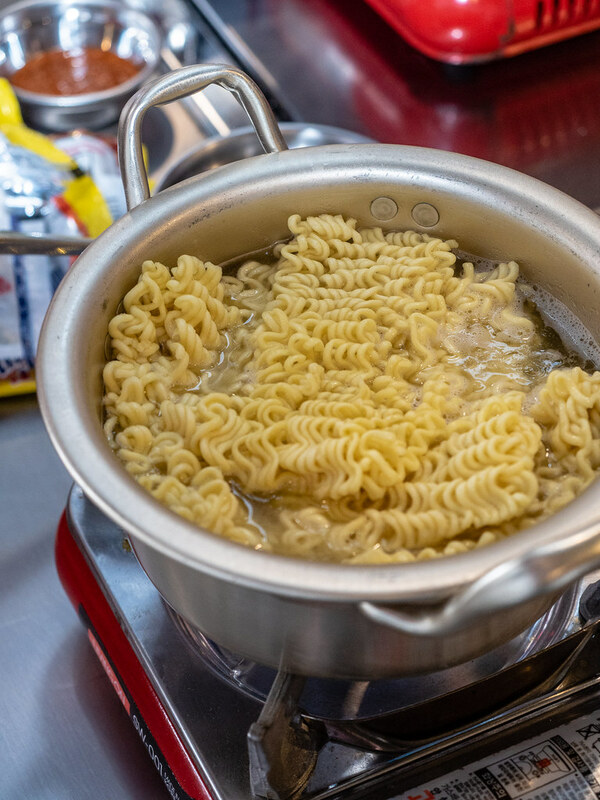 Another photo of the delicious Ramyun before start eating. One way of eating the BBQ Pork is by wrapping them in fresh vegetable. Apple Samgyupsal‘s Pork Sausage is also very delicious. One of the best BBQ sausage I have ever eaten. I can eat a few of them by myself but there is only one in the BBQ set. So, I get to eat 2 slices only. The BBQ rice cake is also very delicious. Actually this is my first time eating BBQ rice cake. The unique way of eating the BBQ meat here at Apple Samgyupsal is by wrapping them with a slice of apple. Quite an interesting experience I would say. Unfortunately, the apple slices are not refillable. 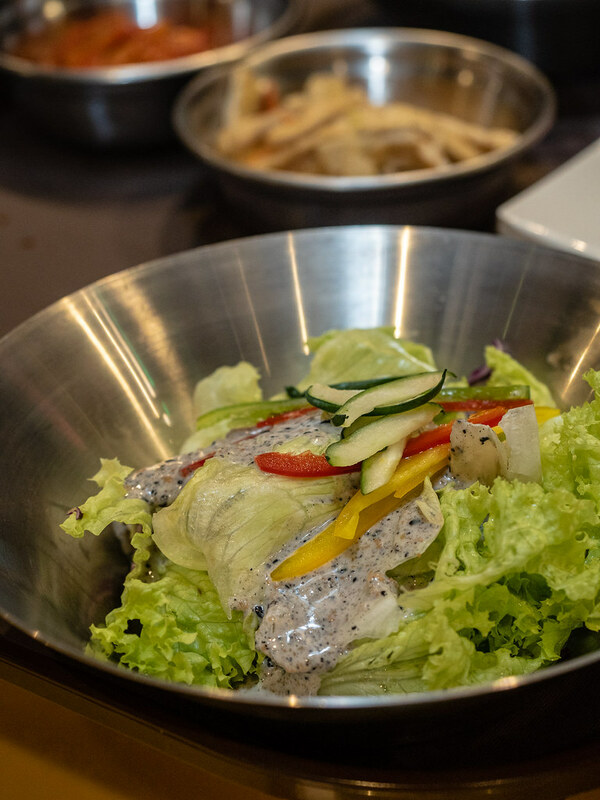 One of my favourite banchan of the night is this salad banchan. The salad sauce is very special and make my mouth feels good after eating too much BBQ meat. Kimchi side dish is another of my favourite. The spiciness and the crunchiness are just nice. 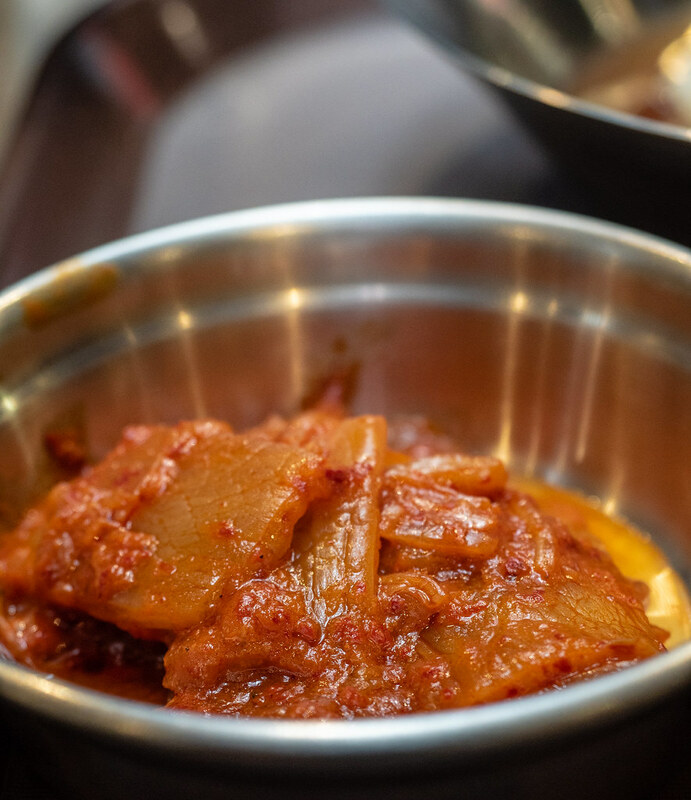 Another banchan here at Apple Samgyupsal is the slices of marinated ginger. The ginger is very nice eaten with the BBQ meat. 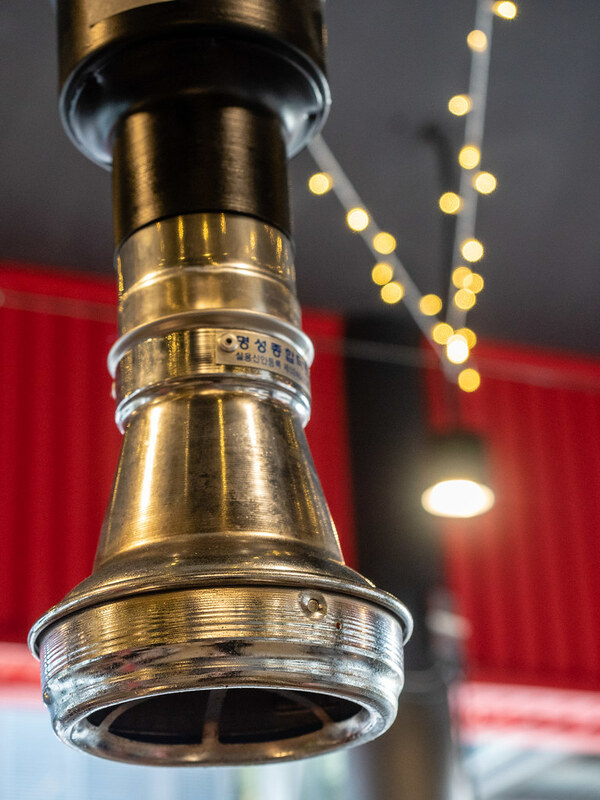 If not enough, you can refill them at banchan bar. 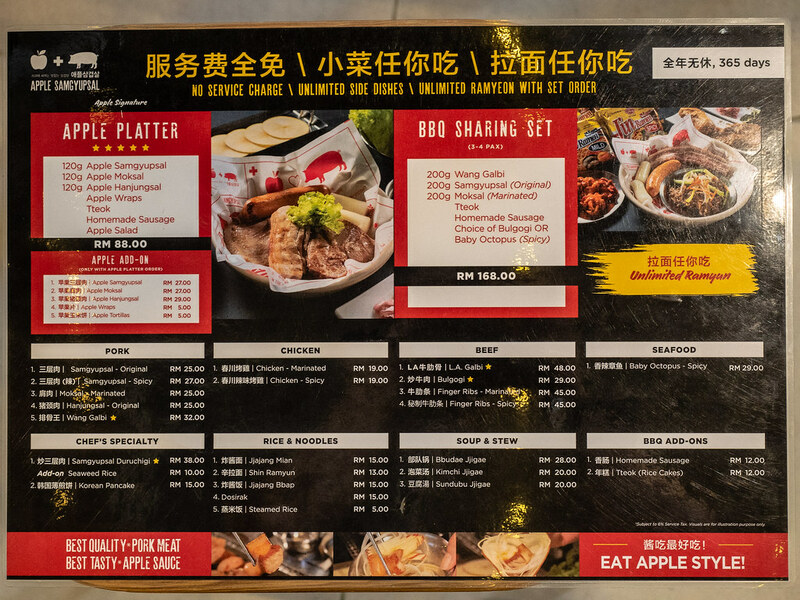 The set meal menu of Apple Samgyupsal and other add on such as soup & stew, baby octopus and Korean pancake. 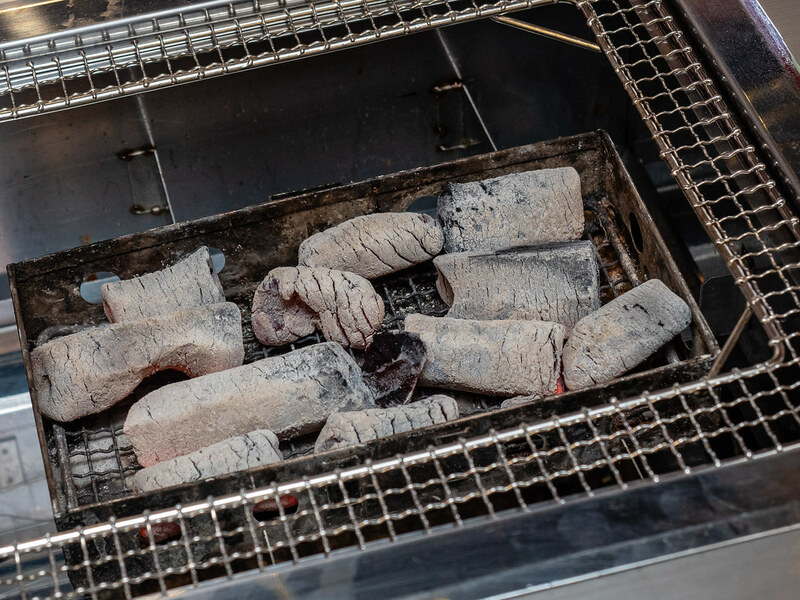 There are a few types of BBQ set to choose from according to the size of your dining group. 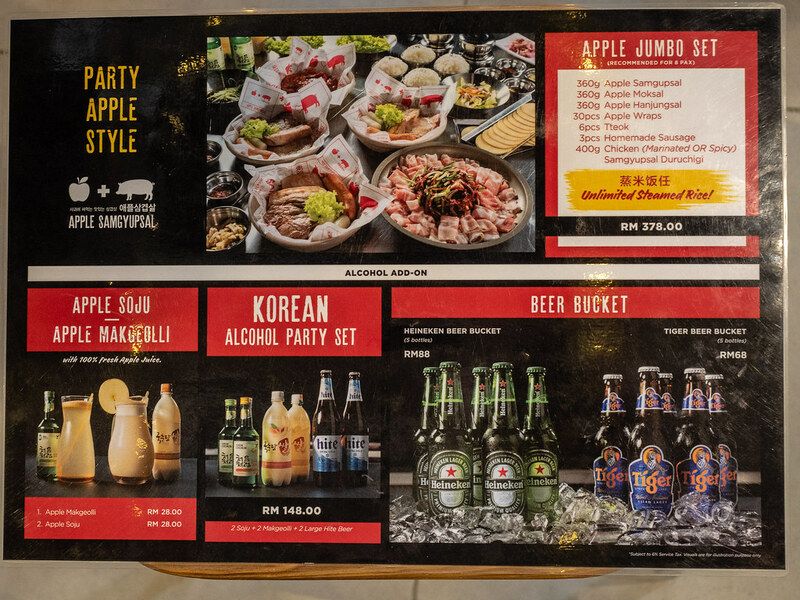 Another food menu showing the Apple Jumbo Set, soju, Korean beer and other alcoholic beverages. 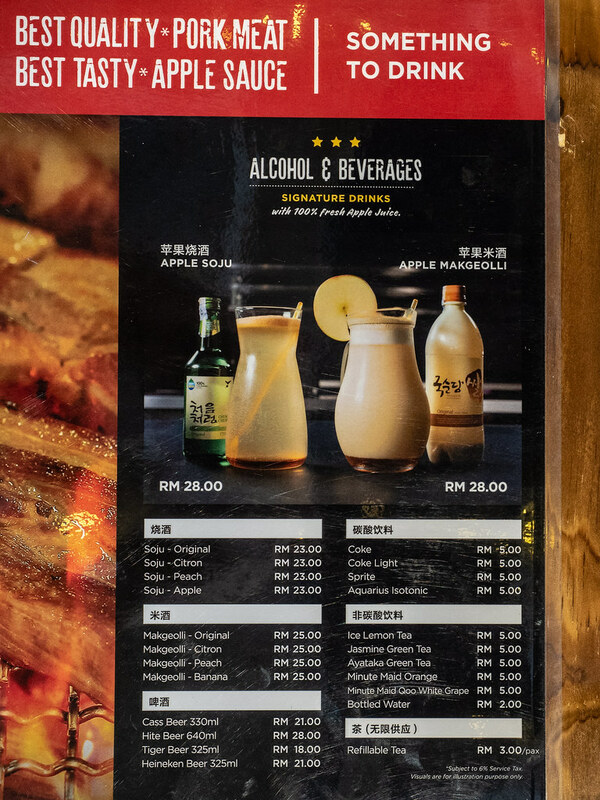 The full beverages menu of Apple Samgyupsal. You can order soju, makegeolli, beer and other non-alcoholic drinks here such as tea and coke. If you just want to come here for a beer and some snacks, here is the menu. 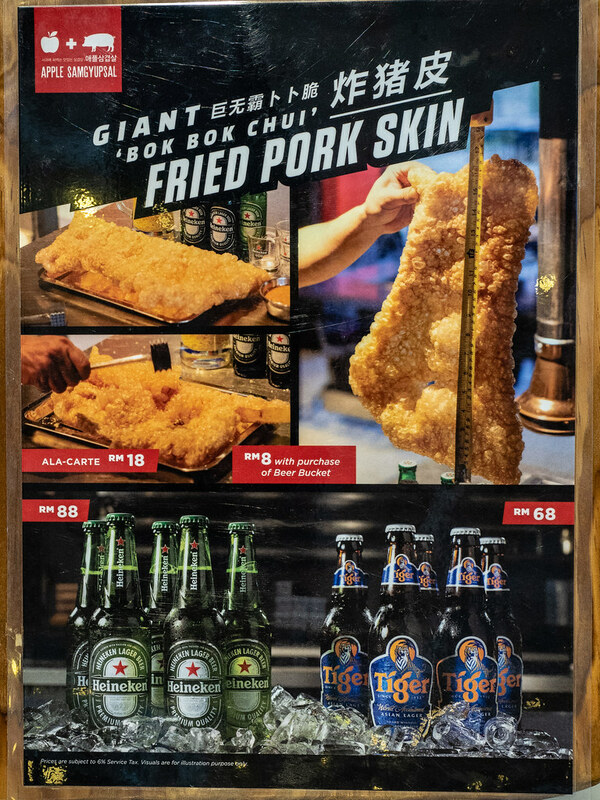 You can order the fried pork skin to be eaten with beers or soju. 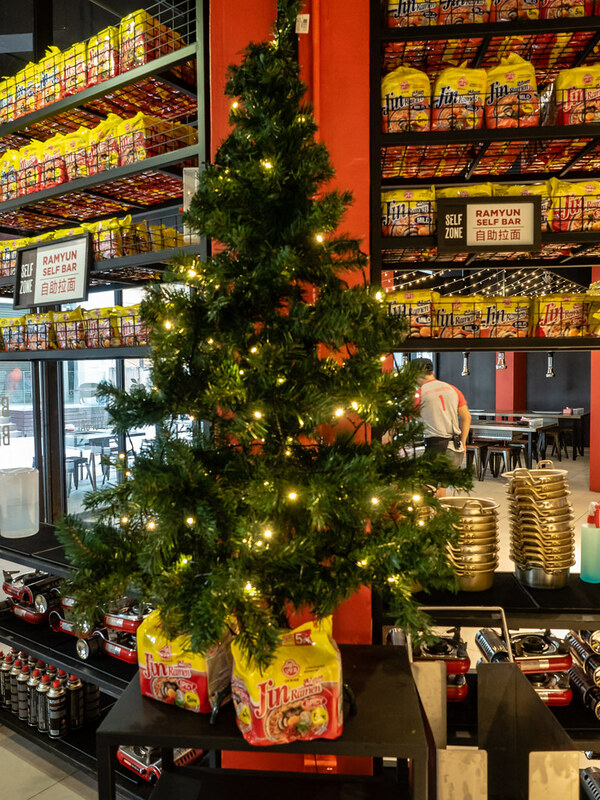 It was Christmas month when we came here, so here is a Christmas tree at the Ramyun self-bar. 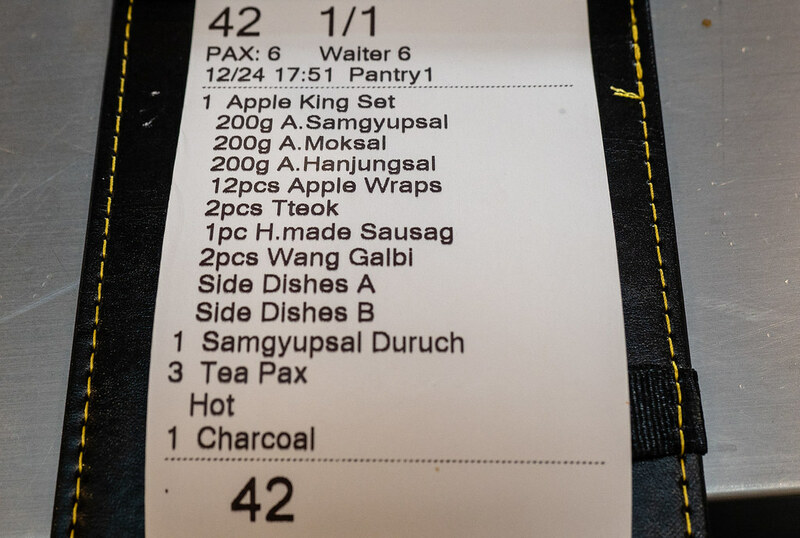 Like many other Korean BBQ Restaurant, the Apple Samgyupsal also serves unlimited refill of banchan. 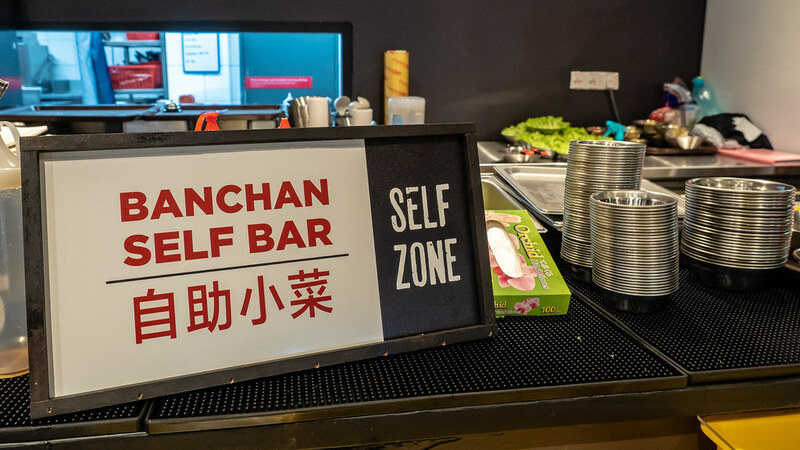 This is the banchan bar where you can come to refill your banchan. 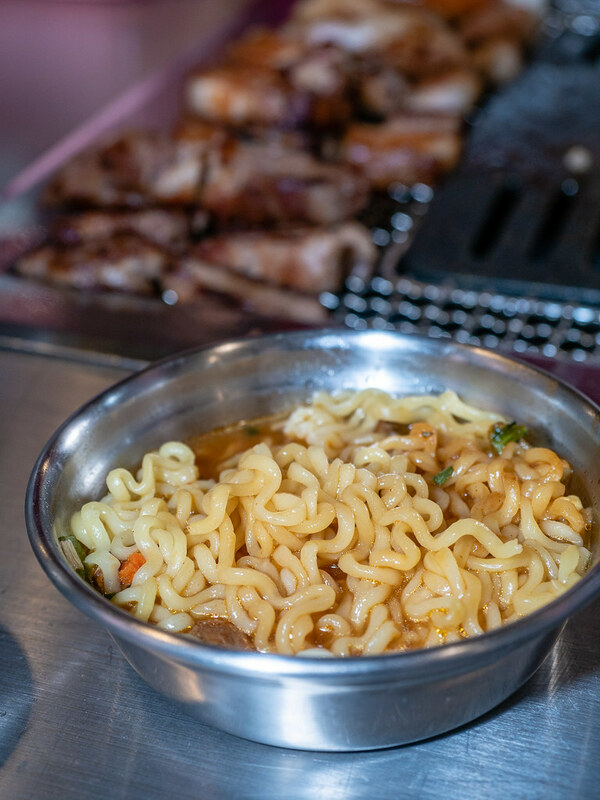 Apple Samgyupsal serves unlimited refill of Korean Ramyun as well. 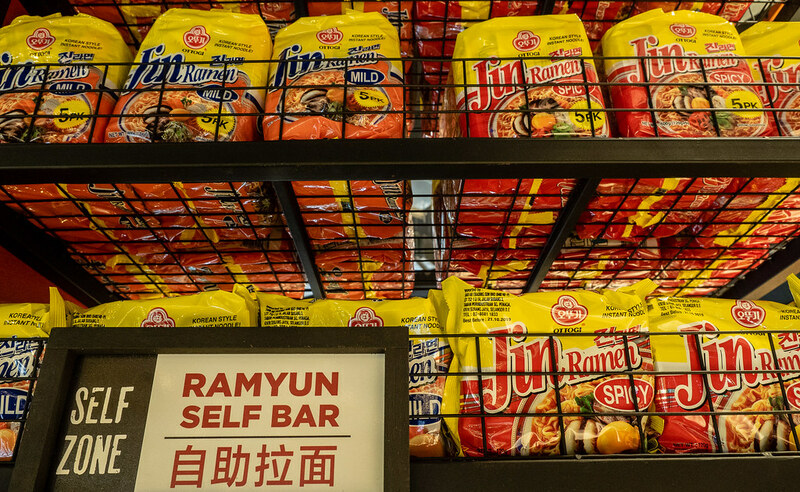 There are so many choices of Ramyun flavour to choose from. Need to come here a few times to try all of them. All the food photos you see here are summarized in our food bill above. We ordered the Apple King Set and add on a Samgyupsal Duruchigi. It is enough for six of us. We ate two packs of Ramyun as well. Apple Samgyupsal’s logo which has an Apple and a Pig. Apple + Pig = Apple Samgyupsal. 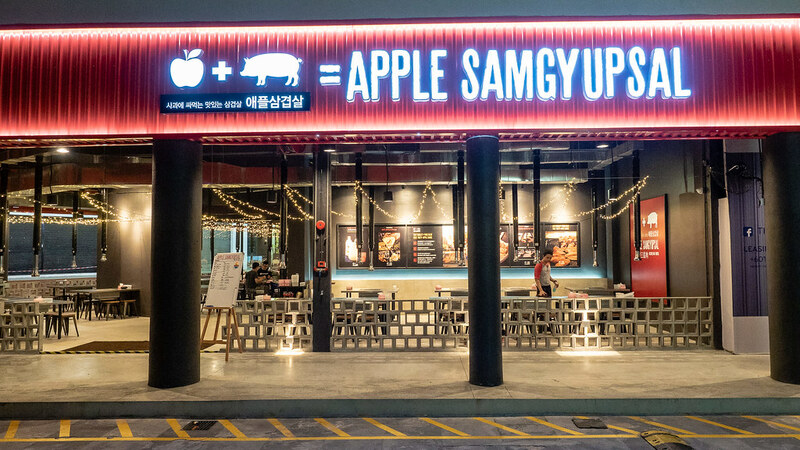 This is the front view of Apple Samgyupsal taken during the night time. Bye-bye, Apple Samgyupsal. Thank you for coming to Jaya One and we hope to see you again soon. 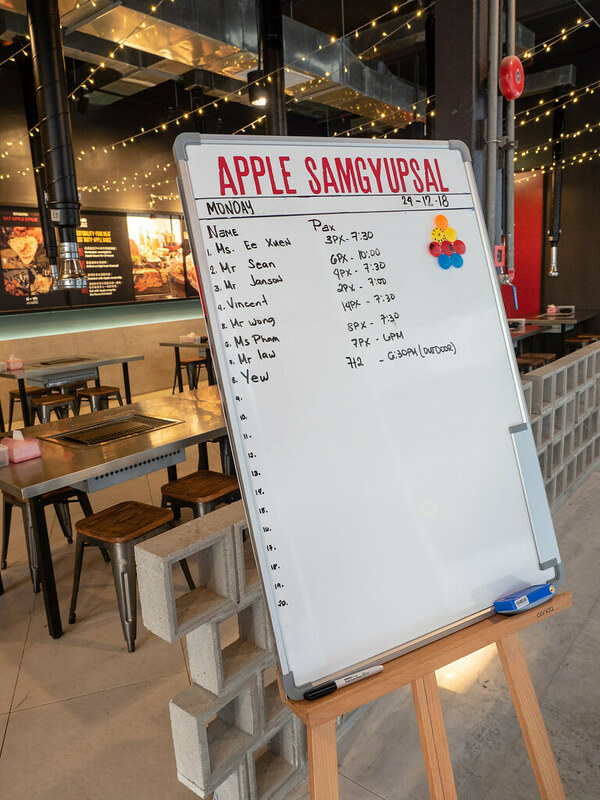 Apple Samgyupsal at Jaya One opens daily from 12pm to 12am. Photos taken with Olympus OM-D E-M5 Mark II camera and Olympus M.Zuiko Digital ED 12-40mm f/2.8 PRO Lens.